This friend of mine is a marvelous writer. Reading her work you might think she sits at her computer and great characters and dialogue jump from her fingertips and appear on the screen, ready for publication in one draft. That’s because she’s a master craftsman. By the time we get to read her work she has gone over each and every word, phrase, telling detail of character and place with deftness and we laugh or cry rolling along her narrative arc to a clever conclusion. Then we want more. But, talented and hard working as she is, sometimes nothing comes. Her muse goes to the Caribbean to work on his tan. 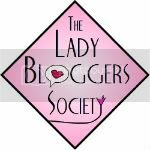 It’s good to have writing friends, writing circles, critique groups. We have a Salon. We have aspirations of being literary. And occasionally, we are. We’ve granted the term enough elasticity to include us. And we’ve granted each other enough grace to affirm each other’s status as writers. That’s because we know what it takes to get a story, a poem, a book ready for anyone besides trusted friends and a tight circle of like-struggling word crafters to read. Writing difficult? Well sure it is. But what a fortunate and precious thing to complain about. We get to play with words, phrases, phonetics, meter, rhythm, subtle meanings contained within the exact choice of word. To most writers I have encountered, these are the ‘things’ that have delighted and amused us since we could hold open a book of nursery rhymes in our little round baby hands. Little Bo-Peep has lost her sheep and doesn't know where to find them. Leave them alone and they'll come home Wagging their "tales" behind them. I sit at my desk almost every day waiting for words to come. I probably should be doing something useful like dusting or cleaning the kitchen. But, I always promised myself that when my kids were grown I'd take all that energy I thought I had stored away for years and churn out story after wonderful story. Now, I have not been totally negligent in turning out stories. I've turned out some that I quite like and others have shared my opinion by publishing them. Sometimes words come to me. Sometimes I wake up from a dream with an opening line. Sometimes I am in the middle of doing something useful, like dishes or laundry and I receive a word, a line, a beginning. But, way too often I try to court words and story ideas and nothing sparks. Maybe I'm scaring them away by searching too hard. I court words in a few ways: I play solitaire. Yep, dopey, minimally engaging solitaire. Sometimes it works, I think, because it makes my brain turn on just a bit to get the gears working thus allowing words that are streaming in my mind a chance to get together and form a sentence, a picture, a scene. Recently I have added nursery rhymes to my method of distracting my "monkey mind" ( thank you Natalie Goldberg) long enough to let the undercurrents gain a little strength. Bo-Peep was going through my mind this morning and I realized that some of my most ancient memories are of sitting with a book opened on my lap as a small child, reading the classics. The classics of children's lit, that is. Nursery rhymes are a lot like the Book of Proverbs for the pre-K set. I think Bo-Peep showed up to tell me to let go, stop searching so anxiously. Leave them alone, and they'll come home, wagging their "tales" behind them.. Boy, I hope those nursery rhymes have as much wisdom as they're supposed to. 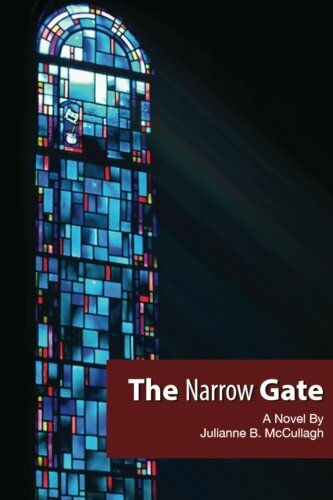 The Narrow Gate is now available! How Do You Like 'Dem Apples?